I was not surprised to learn that Andrew Ross, professor of American studies at NYU, had been barred from entering the United Arab Emirates. I have known Andrew for quite a few years, and know him to be a persistent and consistent critic of injustice and exploitation. 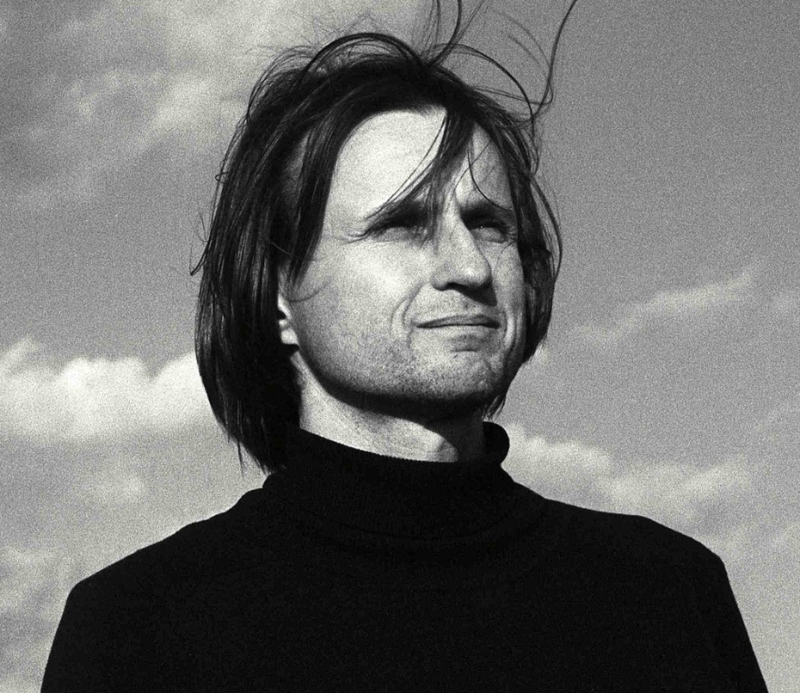 Much of his recent work has focused on labor and debt, for example in his most recent book, Creditorcracy. That he was prevented from spending his spring break doing further research on labor practices in Abu Dhabi one can take as an admission by the relevant authorities there that his researches had been, as usual, on point. The work of his I want to focus on here concerns the politics of the American city in the Anthropocene. Ross has always had good instincts for how to apply scholarly practices to contemporary issues. Andrew Ross is one of the key people who brought the Birmingham School methods of cultural studies to the United States. But the bulk of his work is not in the textual study of cultural or media artifacts, but in a distinctive kind of ‘ethnographic’ work. Ethnography has in recent decades brought its traditional methods for decoding the symbolic universe within which people interact into the study of urban and contemporary spaces. Ross’s method is more modern, and is concerned with the study of money, power and real estate. Since becoming Director of the Graduate Center for American Studies at NYU in 1993, Ross has brought a consistently critical perspective to that discipline. In his books The Celebration Chronicles, No Collar, Fast Boat to China, and Bird on Fire: Lessons from the World’s Least Sustainable City, Ross offers a series of portraits of labor and everyday life in the current stage of capitalism. Bird on Fire is particularly ambitious, in providing a critique of the social and political struggles of the city of Phoenix and surrounding region through the lens of climate change. Ross joins a distinguished list of authors who, in the wake of Henri Lefebvre, study a particular city as a variant on the spatial logic of capitalism. What Mike Davis has done for Los Angeles, Ross has done for Phoenix: provide a vivid portrait of a contemporary city and of what Dashiell Hammett used to call the cops, the crooks, and the big rich. All cities will have to adapt to climate change. While one could produce a feel-good story of such an effort if one looked at compact and liberal-minded enclaves such as Portland or Seattle, Phoenix is closer in land use patterns and political culture to the average American city. If climate remediation could be done here, it could be done anywhere in the first world. And if it can’t, well – it can’t. Before the 2008 housing bubble crisis, Phoenix was one of the most booming of boomtowns. The story Ross has to tell is of struggles at all levels for America’s fifth largest city to find another path for itself after the bubble burst. A sleepy backwater before the war, Phoenix took off after as a site for military-industrial manufacturing due to low taxes, cheap land, cheap water, union-busting – and massive federal government subsidy. It became “a horizontal hymn to unsustainable development” (4). If one were looking for an origin story for ‘neoliberalism’, then Arizona could well be it. Arizona Senator Barry Goldwater’s 1964 Presidential campaign was in many respects the template for Ronald Reagan. And yet, contrary to the ideology of frontier self-reliance, it’s a metropolis massively shaped by government action at city, state and federal level. Hence it might not be entirely utopian to imagine that cities such as this could use policy levers for another kind of social engineering around climate change mitigation. Could there be a ‘good bubble’, based on green technology, in place of the bad ones, of which the housing bubble is just the most recent and egregious example? Ross is rather skeptical about geo-engineering schemes dreamed up by planners and technologists. “Placing all our faith in clean tech fixes will cede too much decision making to a closed circle of experts who, regardless of their technical prowess, will have no power to prevent the uneven application of their solutions” (240). One of the great merits of the book is to bring together questions of green policy and industry on the one hand and questions of environmental justice coalitions on the other. Phoenix is a place where not much stands in the way of “the local religion of land development” (19), but one thing that does is archaeology. Before the bulldozers come in, the archaeologists have to record what remains of the Hohokam. This long gone indigenous nation was distinctive in using an irrigation-based agriculture. They succeeded at it for a thousand years. The Hohokam started to decline in the 15th century. The trees were gone, and so too was the game. They were suffering from salinization and waterborne diseases. While things were bad for the Hohokam they were going worse for neighboring nations. The Hohokam may have had difficulty absorbing incoming groups. This archaeological record has become a stake in contemporary struggles around immigration. A version of this story is used to legitimate a vicious anti-immigrant law, while its critics point out that itinerant labor has long been a common practice in these desert environments. The legacy of the Hohokam lives on in many ways. Anglo settlers took over their ancient canal routes. The Pima nation, which claims descent from the Hohokam, used a more dispersed settlement pattern which may have made better use of scarce resources. Like the Hohokam, contemporary Phoenix is accumulating problems and deferring structural change. Like many American cities, it has lived by the credo that growth will pay for itself. The whole of Arizona is a monument to land speculation. Mexican incumbents were tossed out. Cartographers carved it up into parcels. “For the big speculators, the land grid was like one giant gaming table” (30). Development wasn’t planned around watersheds, as land was sold off in blocks. So water had to be moved to the property. The result is the “hydraulic west” (31). Phoenix depends on vast federal water works to move water three hundred miles to it, for in the west, “water flows uphill towards money” (31). Far from being opposed to the real estate lobby, farmers and ranchers are part of it. Contrary to the ideology of the yeoman farmer at one with his land, Arizona farmers are land speculators, waiting until the urban fringe reaches them to sell out. In such a growth-based economy they had little incentive to take the long view on land management. Before the 2008 crash, Phoenix was absorbing farm land at the rate of an acre an hour. Likewise, American home owners now see their homes as investments, and sell on average every seven years. If land is plentiful, water is not. Arizona farmers are last in line, as Native Americans and cities get water rights ahead of them. Phoenix residents have water at half the price of Seattle and they use twice as much. Decades of federal hydraulic and market engineering produce perverse outcomes on many levels even with existing scarce water, let alone when facing future climate based reductions. Market mechanisms are supposed to manage the ‘risk’ of water shortfalls, but they can’t do much to make new water. Wells dug by farmers and developers are making the ground subside, and yet there is an enduring faith that engineers will find “the next bucket” (42). In the western states private water rights usually prevail, and water is transferred as a commodity. Whoever gets it first can sell it. Ross: “the infamous water wars of the West were not an inevitable outcome of water scarcity: they were determined by the competition that arose from regarding water as private property” (48). In one of the stranger moments in modern urban geography, Phoenix grew during the cold war because moving key military-industrial away from the North East the deserts of the West reduced the number of civilian casualties in the event of a nuclear strike. Motorola, Honeywell, Sperry-Rand, GE, Kaiser, and other cold war contractors built facilities, making Phoenix is a key part not so much of the sunbelt as the gunbelt. President Eisenhower warned about the power of the military industrial complex, but President Truman had issues a less noticed warning about the real estate and motor car lobbies, who between them got governments to invest vast amounts of public money in a whole new production of space. The sprawling suburb form of development became unpopular in many parts of America in the late twentieth century, but not in Phoenix. As one local planner tells Ross, “what others see as sprawl we see as our heritage” (57). 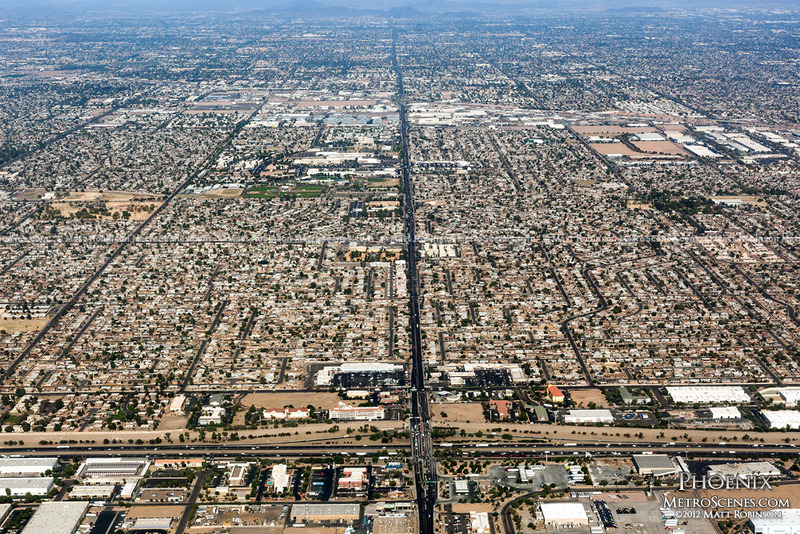 Until 2008, Phoenix was the hub of the production of suburban space on an industrial scale. Ross quotes a journalist from California who can’t quite believe what she sees in Phoenix: “you are building houses for people who are building houses? How is this possible?” (58). In the affluent suburbs of Phoenix, generally to the North, a peculiar kind of ‘green’ politics has nevertheless appeared. Increasing urban density of not popular, but anything which preserves pristine views and access to recreational space generally gets the nod. Some prosperous Phoenix exurbs like Gilbert and Chandler rank nationally as ‘green’ cities, if also as ‘most boring’ ones. The wealthy can also buy carbon offsets for their lifestyle choices, “a modern version of papal indulgences” (202). Phoenix has its own version of the return to downtown living. The ‘meds and eds’ model of urban industrial redevelopment came late, and so too did the ‘creative city.’ For a long time, Phoenix relied on the old top-down process of demolishing whole city blocks to put up stadiums or a convention center. The city worked hand in glove with the real estate industry to push aside urban populations who stood in the way. What changed this was a combination of reform-minded civic governance and the rise of a new kind of urban power. On the one side, the city reformed its planning process to be more inclusive. It brought in an ‘urban village’ model. On the other, artists and other creative types who moved into downtown in some cases became property owners and hence recognizable stakeholders. The ‘downtown art walk’ became a cultural institution, bringing people into the city for leisure and shopping. Artists as entrepreneurs became a part of the petit-bourgeois power within the city, lobbying for the city to do local procurement. They became a sort of tutelary power, presiding over mixed urban zones, taking over the paternalist role in the inner city scene once the Goldwaterites forfeited their civic role in bolting for the suburbs. While city planning managed to evolve some sort of dialog about the ‘creative city’, this was not the case with the ‘green city’ agenda. This was a pure product of making a pitch for federal money. Ross highlights the disconnect between the ‘green’ agenda and social justice, or even environmental justice. Here he has an interesting story to tell, of how environmental advocates like the Sierra Club have found ways to work with Chicano and Native American service centers and community organizations. The former is not institutionally inclined to think or act in terms of class conflicts or ethnic struggles. The latter have the protection of their communities as a focus and not necessarily some wider horizon. It is possible, however, to connect the issue of ‘sustainability’ to affordable housing. The racist right occasionally makes use of ‘ecological’ arguments. For example: that people who cross the border end up using four times more energy on the north side than they did when they lived south of it. Far from seeing this as a problem with the energy and resource intensive American lifestyle it is seen as some additional burden the border-cross has imposed on ‘us’. But no effort has been made to tap into the cultural strategies for living a less energy and resource intense life that the border-crossers may bring with them. While the North side of Phoenix has the money and power to exert some influence on its urban space, the South side does not. The result is a truly appalling record of “eco-apartheid” (70). The South side is “the city’s human and natural sacrifice zone” (116). The city’s sewage plant was located there at a time when the locals there did not even have sewage. Even toxic waste from California meth lab busts was stored in South Phoenix. Cheap land and close to zero regulation has made it home to the worst polluters. Fisher Sand and Gravel, some of whose managers would face criminal charges, was emitting arsenic, lime, and formaldehyde from its asphalt plant. It was even getting unmetered water illegally from a fire hydrant. But Fisher is also a ‘green’ company, because it uses recycled tires in its rubberized asphalt. The white working class community of Maryvale was a typical postwar suburban development where people could commute to nearby plants operated by Corning, UIC and other companies. A cancer cluster that many blame on air-borne pollution from these plants led to a style of activism led by the mothers of dead and crippled children. One developed a unique strategy for getting information out of the ineffective regulatory bodies. She combines visits to their offices with childcare duties, and makes sure to load the kids up on sugar upon arrival. Bureaucratic foot-dragging can suddenly end when confronted by kids on a sugar-high, bouncing off the walls. Some of the companies such as Motorola which left toxic residues under South Phoenix are long gone, moved to Mexico or China where there is even less regulatory oversight. 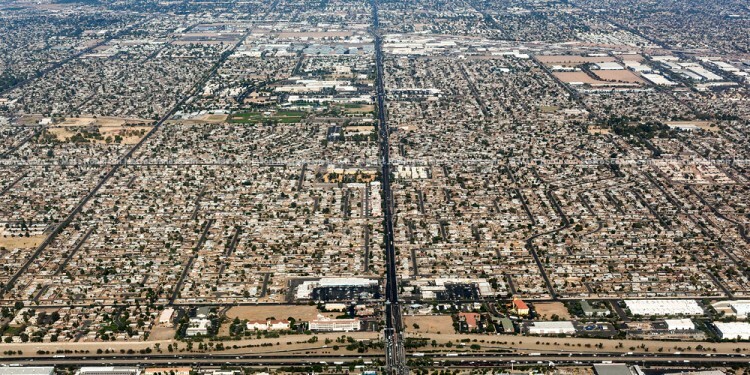 South Phoenix has some of the nation’s worst ground water pollution. There is a seven mile wide plume of contaminated water which meets another one, eight miles wide. High tech industries do not loom large in the public’s imagination as polluters. Intel’s advertising for a while featured shiny images of the clean room facilities for chip manufacturing, with figures in full body suits dancing gaily among the machines. As Ross points out, the clean room is there to protect the chip, not the worker. Intel itself seems to have a good reputation in Phoenix with local activists, at least compared to other companies. However it has left superfund sites in its wake in California. In South Phoenix, government and corporations outmatch the political power of local organizers for environmental justice. They play Latino and African American communities off against each other. Somewhat more complicated is the question of the coal fired electric power plants on Navajo and Hopi land. Arizona’s six coal fired plants account for 40% of state’s carbon emissions, so this is no small issue. But there is a conflict between tribal government’s revenue need and environmental concerns. Moreover, power plant jobs are secure, well-paying jobs, whereas many of the new jobs in the clean energy sector are not. Hence neither the First Nations nor what is left of organized labor are natural allies with environmentalists. What would it take, then, to build some kind of counter-hegemonic bloc that might favor a move to a lower carbon regime? Arizona has the natural advantage of having an endless amount of sunlight, so surely solar power would be as effective a solution here as it could be anywhere. Unfortunately the gas oil and coal industry lobbies have the power to shut down renewable energy policy. The Republican controlled legislature has its share of climate change deniers, but when solar industry development started going to other states, a breed of ‘solar Republican’ emerged who emphasized the industry development potential. And so First Solar and Suntech got their incentives. Suntech’s manufacturing and design would still be in China, however. Arizona got a ‘screwdriver plant’ to assemble solar panels. Some advocates of solar power see it as a way to break the power of the utility monopolies. If everyone had a solar panel on their roof, taking and contributing power to the grid as they need it, then some sort of distributed small business energy sector might emerge. Even the possibility of such a development sets the existing energy industries firmly against it. A sort of solar sharecropping seems more likely, where utilities keep control of the grid and of the price differential between what they charge for power and what they will pay from small providers. Of course, solar energy is not all rainbows and butterflies. One project proposed for Arizona uses twice as much water as a coal fired plant. Arizona State University (ASU) has lately played an aggressive role in developing renewable energy as a business. It was a small-town teacher’s college before the war, and was prodded into becoming a research university by the needs of the military industrial companies who moved to the sunbelt in the postwar period. Ross leaves open the question of whether its entrepreneurial role in green tech can have much of a wider social function. The lack of consistency in support form the federal and state governments is a hindrance to developing the clean energy sector. The Arizona legislature tried to include nuclear power in the column of “renewable” energy sources, which would have spelt the death of any nascent solar power sector. Fearing damage to the state’s business reputation, the party somehow managed to corral its more ideological members behind a green energy industry plan. But it is not the only case where Ross finds interesting tensions between the dual functions of the Republican party: coordinating the interests of various big business players and ginning up the electoral base with this or that populist nostrum. Arizona’s infamously aggressive anti-immigrant laws led comedian Jon Stewart to call the state “the meth lab of democracy.” The policy of driving Latinos out makes a certain perverse sense from the point of view of electoral demographics. At some point the growth of Latino voters will likely take the state away from the Republican Party. But it makes not sense as a business plan, and clearly cost the state billions of dollars. Ross puts an interesting environmental filter on these events. At least some of the people coming across the border are climate refugees. While NAFTA did its bit to destroy Mexican subsistence farming, climate change is hitting rural Mexico already. It’s the law in Arizona that if any change in state policy leads to a loss of property value then the state must compensate the owner. So it seems unlikely there will be any change to the march of the suburban model of development off over the horizon. Where state-owned land is involved, planning tools are available, but are rarely used. In any case, the Arizonan public has little taste for dense, urban lifestyles. Ross chooses to end on some more optimistic stories. One involves urban gardening. He is far from touting these as a solution in themselves, but they are bases from which forms of community building and organizing can grow. They connect different classes and interests together. Phoenix still has a dearth of inter-ethnic organizing. The good news story that really concludes the book is about the Gila River Indian Community, which after a century of struggle finally won a court battle which restores their water rights. While the community will have to lease some of its water, at least in the short term, their ambition is to rebuild the community around a mix of modern and traditional farming methods. While it’s a small example when put up against the global picture of climate change adaptation, it does illustrate a central point of Ross’s study: “What if the key to sustainability lies in innovating healthy pathways out of poverty for populations at risk, rather than marketing green gizmos to those who already have many options to choose from?” (289) Too many green initiatives simply move environmental costs from one population to another. In this study, that displacement operates in two scales: from one side of the city to the other, and from one side of the border to the other. One could imagine even vaster scales. Ross is skeptical about ‘green capitalism’, but also pragmatic about the power of alternatives to it. Bird on Fire is an analysis about how social movements might form alliances and come together around big picture issues. They might be able to limit the inroads of commodity production in some cases or steer it off high-carbon pathways in others. There might be particular alliances of local and global business which might be pushed and prodded into a new ‘green bubble’ economy, although whether there are any jobs worth having in such new sectors is another struggle entirely. Beyond the particulars of Phoenix, Bird on Fire advances a useful methodology for uncovering class power at work through the specifics of ethnographic work with communities in struggle, one particular attentive to the overlaps of class and race. The development of capitalism appears here as mediated through the particulars of geography and history. The centrality of real estate as an industry in twenty-first century America emerges here with particular clarity, as does the deep infrastructure of carbon-intensive kinds of land use and the stubborn persistence of such forms across space and through time. Ross usefully re-centers Marxist urban studies on questions of energy and environment, as a critique not just of the production of commodified space by capital, but the production of a kind of de-commodity space, devalued by toxicity. Space already low in value, and inhabited by the most marginalized, is the most lively to be further devalued. "There Is No Space for Us"